Manassas, VA (October 20, 2017) – BoatBeat, the nation’s only collaborative online hub with comprehensive information about recreational boating safety, has rolled out new resources offering life-saving boating information. Available at www.boatbeat.org, the site is managed by the National Safe Boating Council (NSBC), the nation’s leading nonprofit dedicated to advancing and promoting a safer recreational boating experience through education, outreach, and training. New accident response case studies offer general boating best practices for the media to enhance their reporting so that the recreational boating public can learn safer boating practices. BoatBeat also now offers in-depth boating best practices for 20 different recreational boating topics. “News reporters are in a unique position to not only share the facts about a local boat accident, but also offer correct safe boating practices to prevent future accidents,” said Messmann. BoatBeat’s new infographic series features seven boating safety topics with quick tips for boaters to keep themselves, passengers, and others on the water safe. Topics include boating under the influence, communication devices, education, life jackets, paddle sports safety, proper lookout, and towed water sports. Visit www.boatbeat.org/resources/media-assets to browse and share infographics. 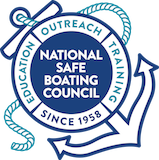 To continue to provide the latest recreational boating safety resources, Messmann encourages state marine agencies, boating nonprofits, water safety organizations, and others to become a BoatBeat partner. Find out more at www.boatbeat.org/collaborate. “BoatBeat wouldn’t be possible without the support of the boating community to share helpful tools and resources pertinent to boating safety messaging,” he said. BoatBeat is produced under a grant from the Sports Fish Restoration and Boating Trust Fund, administered by the U.S. Coast Guard. It is available anywhere, anytime via BoatBeat.org.